Here are 7 clever and painless ways to teach your kids about our local history. 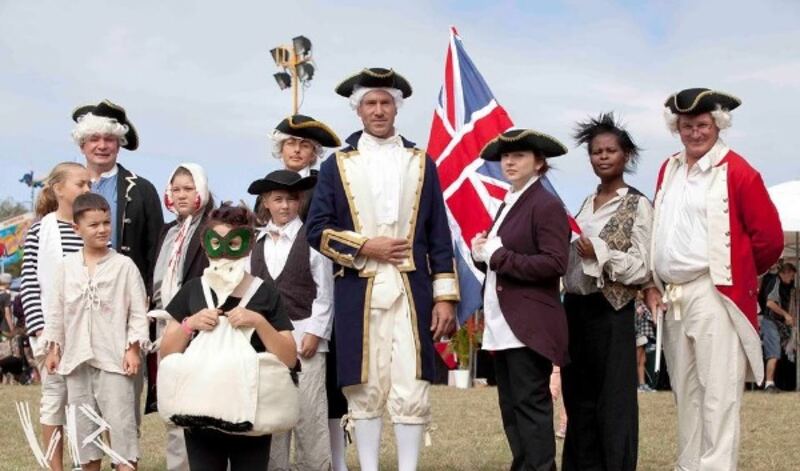 Sail down to 1770 for the inaugural Captain Cook Festival, and teach your kids the history of our beautiful country with a mixture of live re-enactments, family-friendly activities and markets. Learn the history behind the picturesque streets of Childers and the discovery of the Isis Scrub and subsequent logging industry, the development of the pastoral and agricultural industries, historical buildings and landmarks, memorable events, and prominent citizens who have achieved notoriety through a variety of circumstances. You're probably thinking "why would I want to teach my 10-year-old how to make rum?!" but the Bundaberg Rum Distillery Experience is so much more. This award winning educational experience teaches the history behind Australia's favourite rum and is an insightful look into how Bundaberg has adapted and changed over the years, especially our sugar industry. Perfect for Thomas The Tank Engine fans or budding automotive enthusiasts! Located at Bundaberg first railway station this museum offers photo, tools, uniforms, and restored carts you can explore. After taking the kids, why not head 2 minutes down the road for a ride on our steam train around the Botanic Gardens? Bert Hinkler was the first pilot to fly solo from England to Australia and the world's first solo flight across the South Atlantic. This immersive and interactive experience includes a 'Fly Like Bert' flight stimulator, helping kids learn and engage without even knowing! 225km west of Bundaberg Cania Gorge National Park offers stunning views of the Brigalow Belt natural region. The park is a nature loves heaven with 150 species of plants, 90 different bird species and an array of wildlife, keeping little eyes eagerly looking around. Teach the kids where their food comes from, and who grows it in an immersive and hands-on experience. Hopefully they leave with a new-found love for their vegetables!